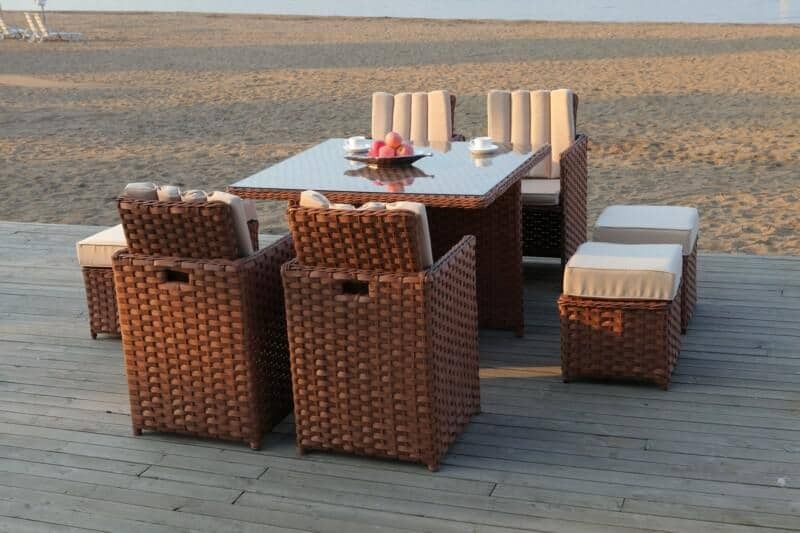 The Flat Weave rattan is hand finished / woven over a rust resistant frame hence making it ideal to leave outdoors. 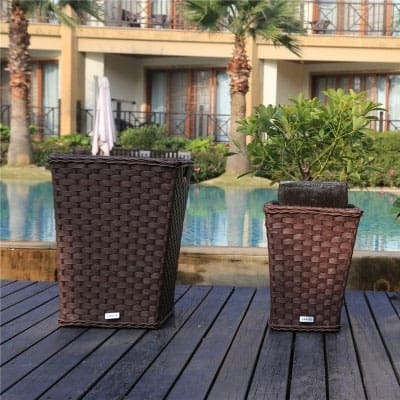 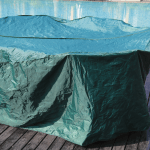 The rattan is Ultraviolet (UV) light resistant to ensure that the colour does not fade in the sun.PE Rattan, UV Protection and Weather Resistant;Great For Conservatories Or Gardens It is very easy to clean using a normal hosepipe or a power washer. 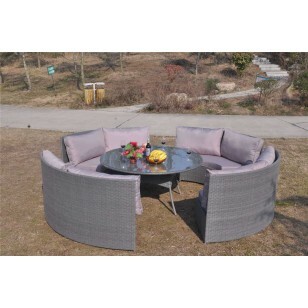 It is available in three colours(grey, black and brown). 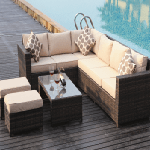 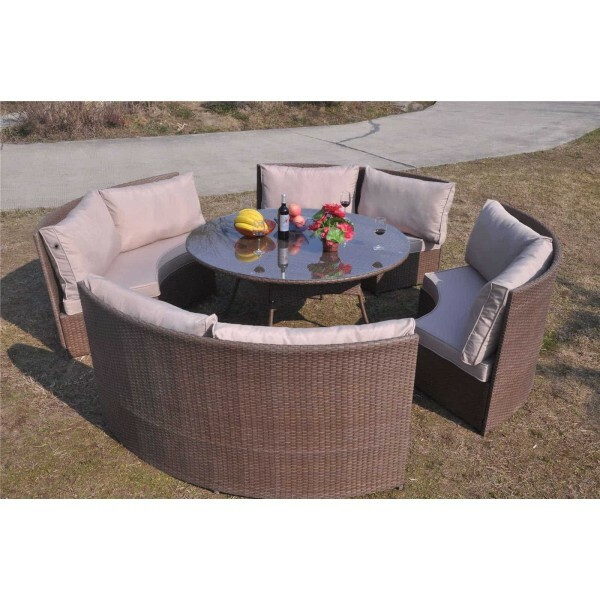 All color options are unique flat natural retro colored strands of rattan running throughout and finished with round weave.SGS approved wicker with 1000 hours sunshine guarantee.All seat and back cushions are waterproof and washable(Hand-washing recommended). 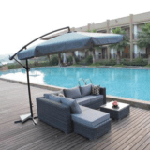 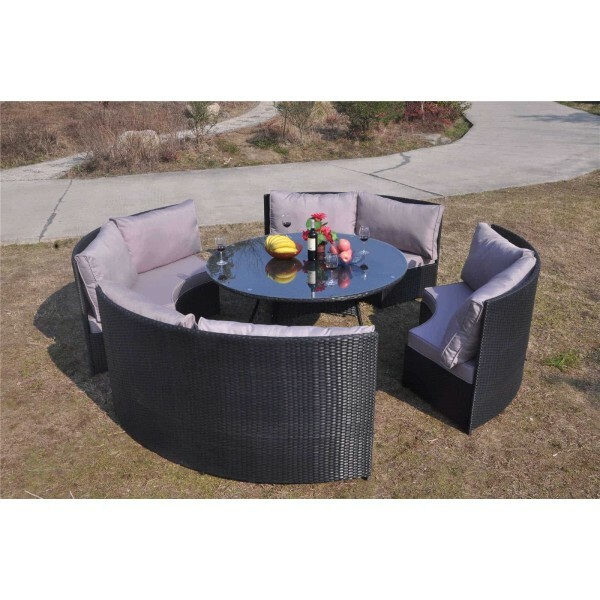 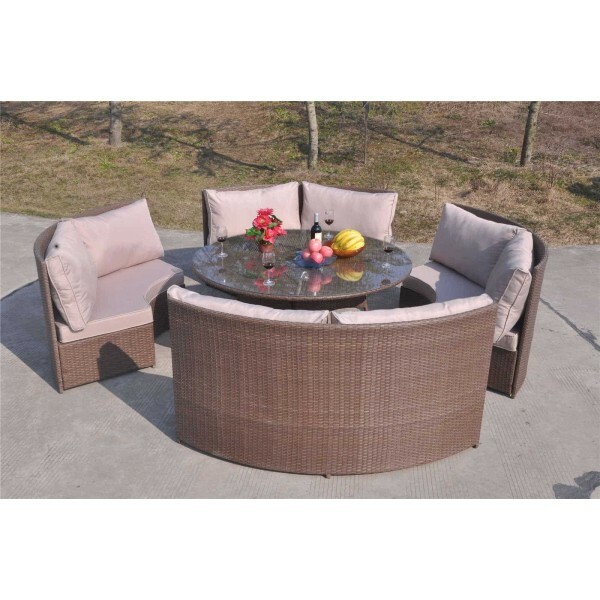 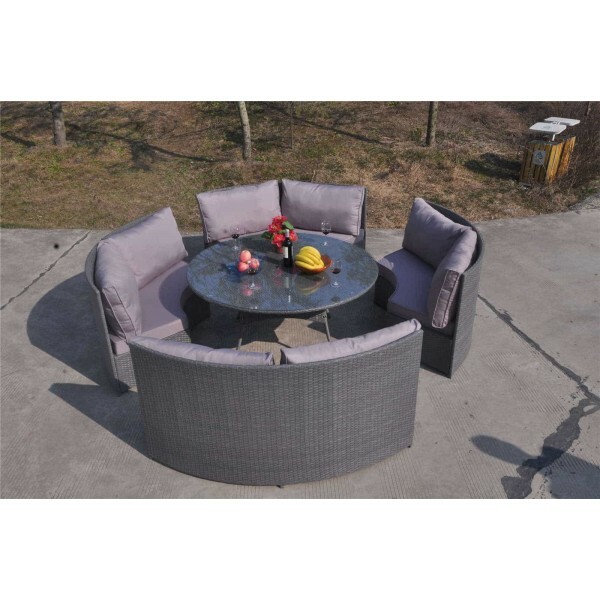 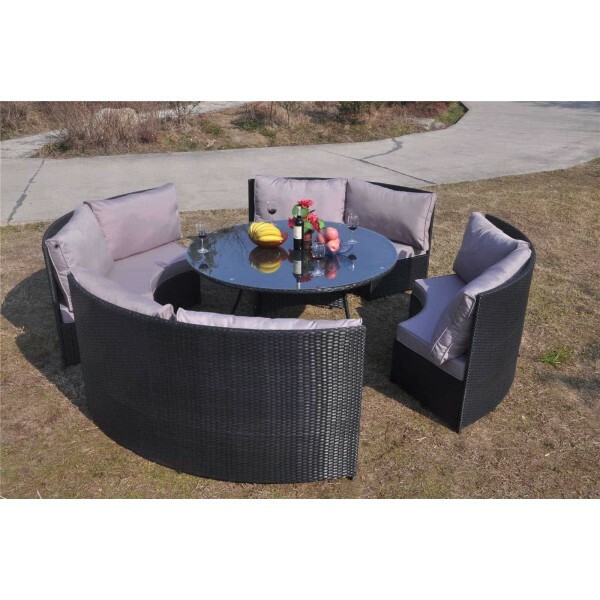 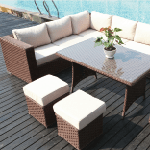 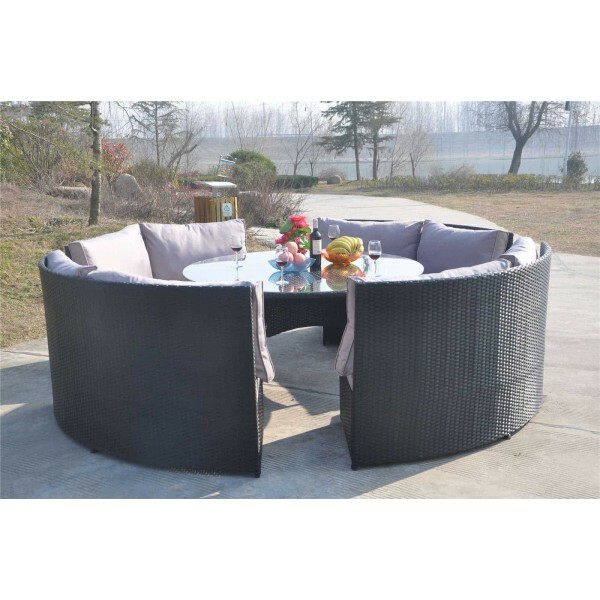 This set includes: 1xround dining table, 4 x benches Measurements: Dining table: 150*150*71cm; Each bench:171*66*89cm Colour: Black PE rattan with grey cushions Brown PE rattan with beige cushions Grey PE rattan with grey cushions Please note: It comes with 3 flat packages.Home-assembly will be required. 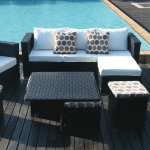 Fixings and instructions are all supplied. 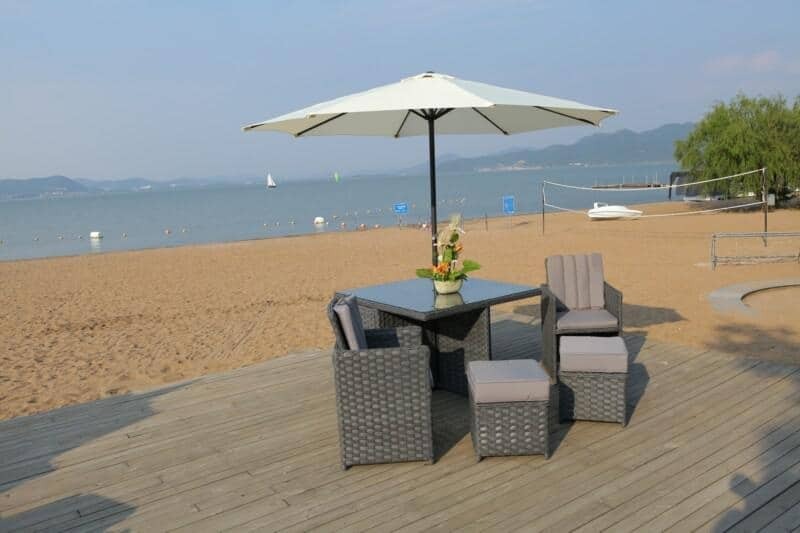 Delivery will be delayed without valid phone number.